There are two major themes in Burroughs that present signficant difficulties. One is his preoccupation with slavery. Slavery pervades the corpus. I haven't begun to guess at Burroughs notions on slavery. The second is the wrestle Burroughs has with the concept of Time. Time is a major preoccupation of scientific thinkers. "As a piece of technology, the clock is a machine that produces uniform seconds, minutes, and hours on an assembly-line pattern. Processed in this uniform way, time is separated from the rhythms of human experience. The mechanical clock, in short, helps to create the image of a numerically quantified and mechanical universe. It was in the world of the medieval monasteries, with their need for a rule and for synchronized order to guide communal life, that the clock started on its modern developments. Time measured not by the uniqueness of private experience, but by abstract uniform units gradually pervading all sense of life, much as does the technology of writing and printing. Not only work, but also eating and sleeping, came to accommodate themselves to the clock rather than to organic needs. As the pattern of arbitrary and uniform measurement of time extended itself across society, even clothing began to undergo annual alteration in a way convenient for industry. At that point, of course, mechanical measurement of time as a principle of applied knowledge joined forces with printing and assembly line as means of uniform fragmentation of processes." While Burroughs never states his position succinctly McLuhan might have abstracted the above quote from Burroughs' novels. Tied to the concept of Time are Burroughs' notions on evolution. The most notable novel in that line being The Land That Time Forgot. Time forgot. Time didn't so much forget it as encapsulate a series of time periods that exist side by side. Usually Burroughs' ruminations are thoroughly disguised as 'entertainment.' If you are merely entertaining yourself by reading Burroughs you probably won't consciously recognize the underlying examinations but you probably will be affected subconsciously. A hypnotic suggestion so to speak. After all, the stories themselves are fairly slight and yet the attention of readers from teenagers to college professors over a century now are riveted by the author. I don't intend to be exhaustive in this essay but I would like to concentrate on two novelistic examinations by Burroughs. 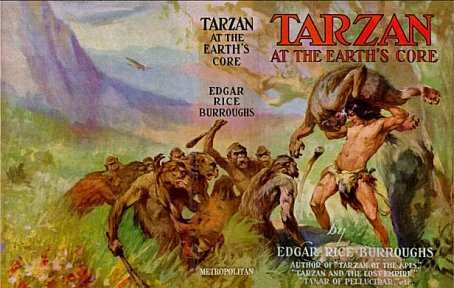 The largest examination and most obvious is that of Tarzan At The Earth's Core and its successor Tarzan The Invincible. 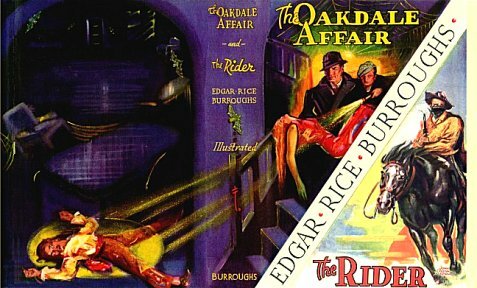 The other hidden example is Bridge And The Oskaloosa Kid also known by its published title: The Oakdale Affair. I will begin with the latter. I’ve written on Bridge And The Oskaloosa Kid a couple times, one major essay being on the ezine, ERBzine, Only The Strong Survive. There is a great deal going on in this wonderful story that isn't so obvious. I didn't have that good a handle on the story, although Lord knows I tried hard enough. I was mystified by the course taken by Gridge, the Kid, the Bear, the Gypsy Girl and Hetty Penning from the Squibb Farm to the destination warehouse. There is probably a great deal of symbolism I’m still not getting but as it appears to me now Burroughs is contrasting two different kinds of time. The journey takes a day and a night to complete by which I do not mean to say twenty-four hours of mechanical time but a physical day and night of experiential time. In other words, according to McLuhan, Time measured by the uniqueness of personal experience on one hand and time measured by abstract uniform units on the other. Both the origin of the journey and its end are based on experiential time where the sun, not the clock, governs the actions. As darkness falls the journey is bisected by the passage through a town. Here experiential time is contrasted by mechanical time. That mechanical time is precesiely measured according to the precepts of the efficiency expert Frederick Taylor. 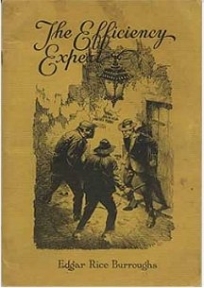 Indeed, within a year or so Burroughs would pen a book on the same theme entitled The Effieciency Expert. In this book, Willie Case, a little farm boy who Gail Prim posing as a hobo had bummed from him, came to town. The story involves several criminal acts and a major detective so Willie is hot to solve the case. Willie comes to town which is run by the clock. Willie has a dollar to spend. ERB accounts for each and every penny as it is spent. In a very humorous scene Willie goes into a restaurent at dinner time by the clock. In a Frederick Taylor efficient manner Willie arranges his dinner plates so that he makes the minimum moves in a most timely manner, shoveling the food into his mouth in minimum time. Very efficient if ridiculous dining. He then goes to the movies. Movies are run on a time schedule by the clock, so various aspects of rigid mechanical time are represented. As Willie leaves the theatre he spots the hobo troupe weaving through town on expeeriential time. No straight lines. Here the two modes of time intersect. Very cleverly done on ERB's part. The troupe then weave on to their destination while Willie calls the cops on a pay phone. While one is not conscious of the two modes of time that ERB represents, yet subconsciously a deepening interest is added to the story. 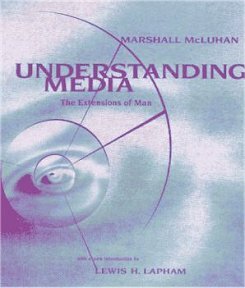 While mystified by the action I would never have guessed the significance of the time comparisons if I hadn't read the McLuhan passage that put things into perspective. 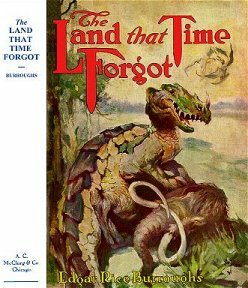 Also at this time ERB wrote two other investigations of Time: The Efficiency Expert and The Land That Time Forgot. I think his two most explicit investigations were Tarzan At The Earth's Core and its successor Tarzan The Invincible. Time is the essence of many things to civilized man. He fumes and frets, and reduces his mental and physical effieiency if he is not accomplishing something concrete during the passage of every minute of that medium which seems to him like a flowing river, the waters of which are utterly wasted if they are not utilized as they pass by. 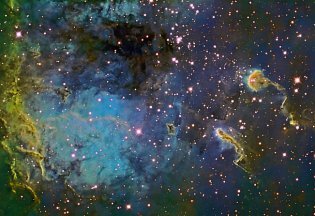 His Pellucidar series creates a model to investigate the nature of Time. Pellucidar is a model of a reversed Time and Space system. The earth is essentially turned outside-in replicating the exterior in a closed universe. He posits a sun suspended in the interior that is perpetually shining. While the outer earth rotates on its axis only half the surface is in light gracing the sun, while the other half is in darkness facing away. Thus the appearance of change which is time is obvious. In Pellucidar as the earth turns no portion of the inner world is in darkness, although the perpetual shadow from the interior moon must have described a circular path. 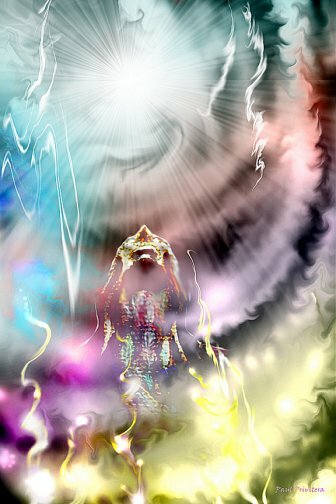 As there is no experiential time, that is there is no night and day, the beings of Pellucidar have no notion of the passing of Time, indeed there is no passing of Time; Time as a reality does not exist. Time is not necessay for existence; a person or thing is merely invested with a certain amount energy. When that energy is expended the person or thing ceases to exist. Thus, for example, when one winds a top it is invested with a certain amount of energy. At peak energy it rotates rapidly gradually slowing down into a wobble and when its energy is expended it falls over and attains perpetual rest. No time is involved although using man made mechanical means the duration can be measured. "…but though Time and space go on forever, whether in curves or straight lines…"
One can't mention curved space without being familiar with Einstein. He is thus offering an alternative to Einstein's notion of the fabric of Time and Space. There can be no fabric of time and space as no time has no objective existence. It is a contruct to serve the needs of man. The sun, for instance, came into existence with a certain amount of potential energy. Barring accidents, that energy will be expended at a certain rate just like the top and when that energy is fully expended the sun will follow whatever course the death of suns follow. 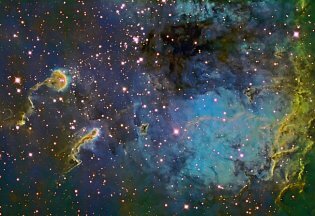 There is no time involved, hence no time-space continuum and no fabric of time and space. So, Tarzan At The Earth’s Core is a demonstration of the fallacy of Einstein's notion. 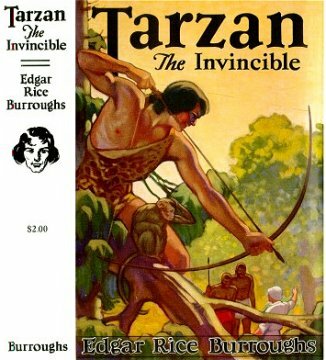 Moving on to Tarzan The Invicible Burroughs then has Tarzan dealing with the notion of terrestrial time. As McLuhan notes, the notion of a time to eat arose with clocks; Tarzan dispenses with the notion of a time to eat eating only when he is hungry. There are no clocks in Tarzan's Africa. As Burroughs says an individual has all the time in the world. One has all the time one needs until the day one dies then one no longer has need of time. In other words, the organism's energy has been expended and the husk falls to earth. So Tarzan is active when necessary, such as hunting for food or fighting and lazes around when activity is unecessary. Perfectly balanced and happy according to Burroughs. OK for the jungle, I suppose, but I've got things to do such as writing stuff like this, but then that is only how I dispose of the energy left in my organism during the time remaining. With other media such as electric lights, I am not bound by the diurnial cycle being freed from that experiential limitation. One only has to sleep when one is tired. Time means nothing to me either. With stores open around the clock I can even buy groceries when the mood hits me. Other items can be purchased on the internet at any time of day. So, technology has freed us from many of the restraints of what civilization is pleased to call time. So, when reading Burroughs one should always bear in mind what time means to him and how varius notions of time relate to the story. Obviously in Invincible while Tarzan is attempting to live on experiential time the Revolutionaries are living by the clock and calendar. Thus the story is also the tale of the clock or two time systems.